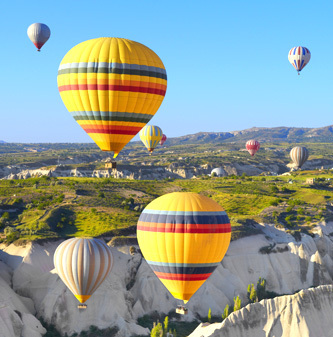 Rated the best balloon ride in the world, float over the legendary fairy chimneys, stunning rock formations, orchards & vineyards. The landscape is something Dali would have killed to paint! 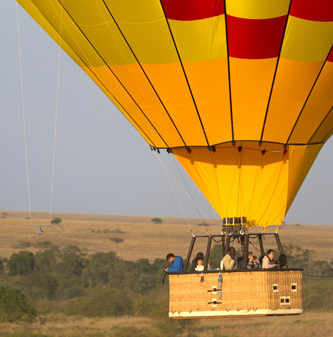 Enjoy the best views of the endless Serengeti plains and appreciate the variety of animals found here. Plus most rides end in a champagne breakfast amid the wildlife. Must, must do. 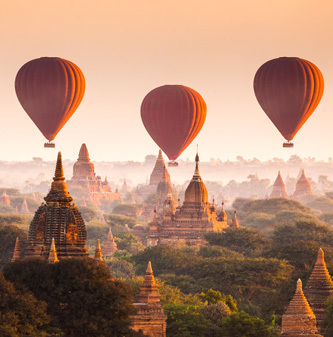 The mysterious ancient city of Bagan is home to 5,000 pagodas that simply peep out from the foliage. Take a ride to catch them at their serene best. A red desert lit by the first rays of the sun! This is one for the books. 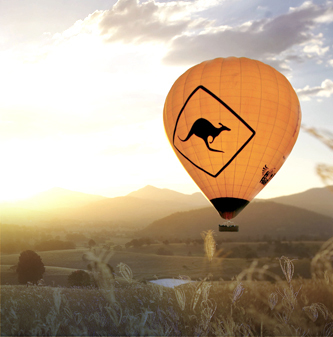 See the fabled Australian Outback, glide over the rugged MacDonnell range and spot the odd wallaby or two. 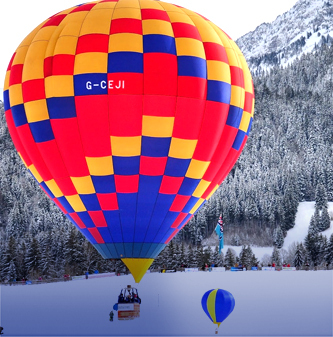 Though an all year destination, go in winter to see the magnificent Swiss Alps in all their snowy splendour. 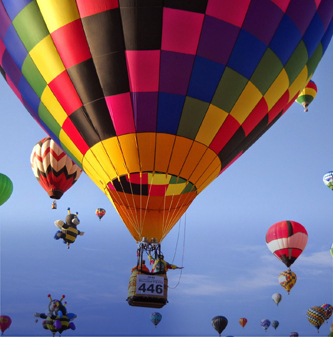 January sees the International Balloon festival participants filling the sky. 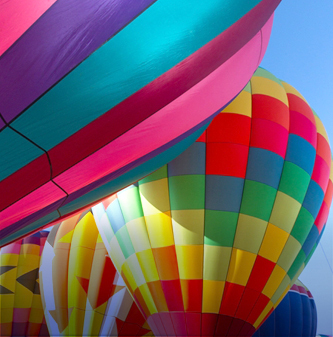 Europe’s top balloon ride lets you soar over the Istrian peninsula with views of the ocean, rolling hills, gurgling rivers, valleys, vineyards, groves and fields. 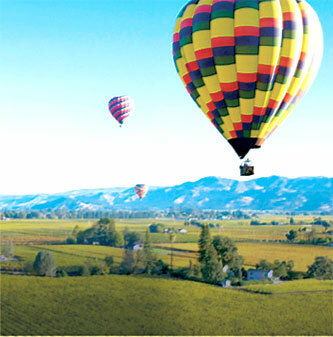 Your time at Napa is incomplete without a gentle glide over acres & acres of vineyards, small towns, glistening water bodies and gentle hills. As heady as any of its famed wines! 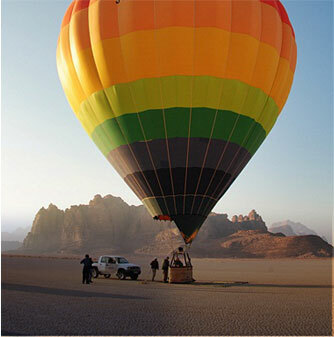 Pink tinged desert, wavy sand dunes, strange rock formations and never ending horizon – a ride over Wadi Rum at sunrise is an experience like none other. It’s an Italian treat alright. 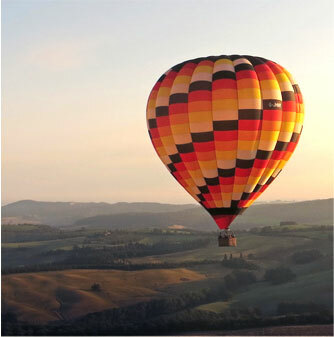 You can either choose a city based ride, over historic and beautiful cities like Siena, Florence or Ferrara. Or one that covers the vineyard & grove filled valleys of the countryside. The fascinating Costa Rican panorama is best seen from above. Glide over the rainforest canopy, villages, fields and then take it one level up for a glimpse of the fuming Mt. Arenal.